Visiting the Elim winemakers. There’s something rather special about the wines that come from this wild, beautiful part of the world and drinking them where they are made. You’ll also love the people – warm, down to earth and passionate. There are 6 different wine estates in the Elim wine ward: Black Oystercatcher, Strandveld Vineyards, The Berrio, Ghost Corner and The Giant Periwinkle, Enfin. Stepping into the serene church…. preferably to attend one of their uplifting services. Visitors are always welcome. Letting Emile Richter, the tourism manager, take you on a tour of the town. Eating the Melktert and Pickled Fish at the Watermill Restaurant. Turning down a random dirt road and seeing where it takes you. 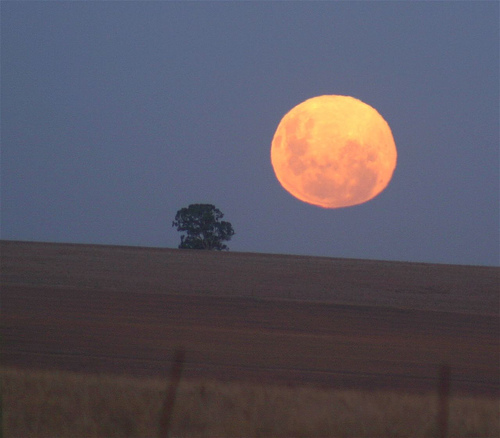 Watching the moon rise over the farmlands. Hiking through the Geelkop Nature Reserve and looking across the Agulhas Plain from the top. Eating a pork pie or stocking up on THE most delicious olde world sausage from Sanity Farm. They’re just down the road in Wolvengat and run their farm completely off the grid! Call Sue to arrange a time. Chatting to a local about life in Elim. Lazing in the gardens and The Drift with a good book and delectable local wine. Stopping off at the De Roubaix Gallery in Wolvengat on your way in or out of Elim to meet Wim and Tina and see their extraordinary work. Call to check that they’re there.